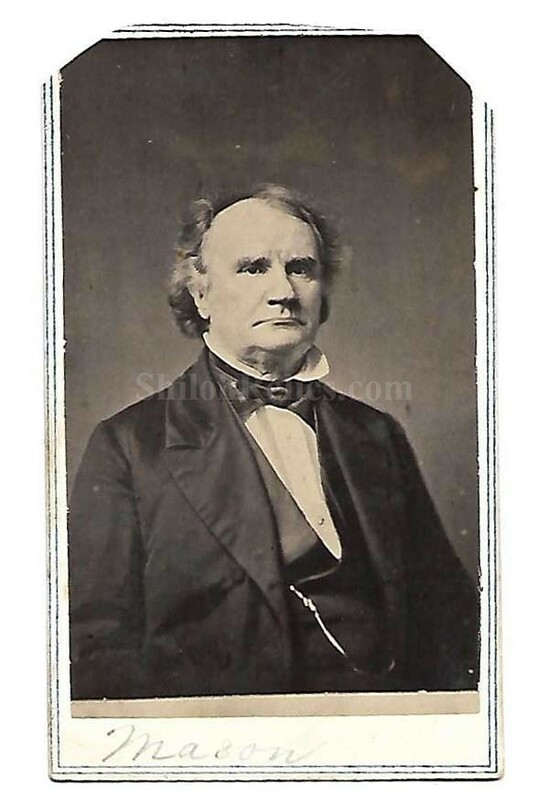 Here is a very nice original CDV image of Confederate James Murray Mason (1798 - 1871 ). Mason was born in Fairfax County, Virginia on November 3, 1798. He practiced law in Virginia starting in 1820. He served in Congress before the Civil War representing Virginia. During the Civil War, Mason was a Confederate Provisional Congressman and he was the Confederate commissioner to Great Britain and France. He was at the center of the "Trent Affair" when he and another diplomat, John Slidell, were removed from their British ownership by the commander of the union ship. He was released in January 1862, and proceeded to London and represented the Confederacy until the end of the war. He lived in Canada until 1868, when he returned to his home state of Virginia. The image shows the stately Mason in a fine suit of clothes. 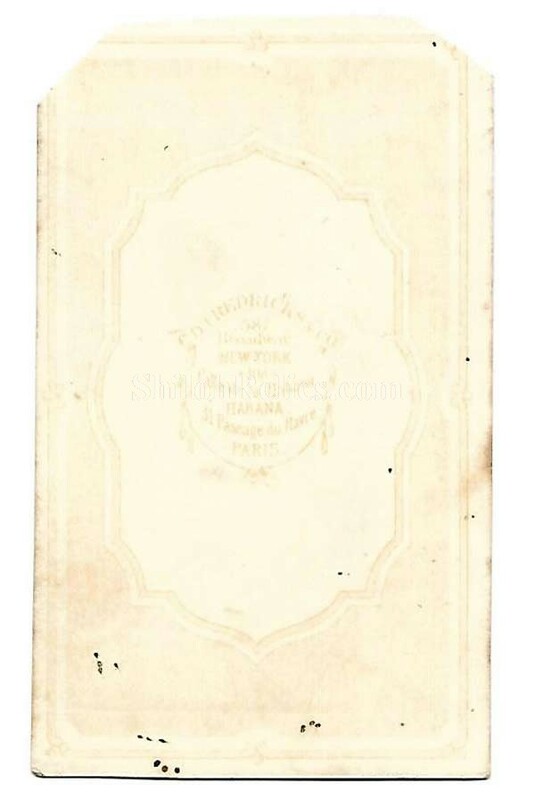 The back of the card has the publisher mark from the Fredericks firm of New York City. The nice original CDV of one of the Confederate diplomats of the Civil War.